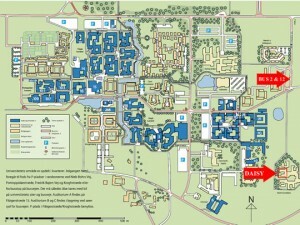 The map below covers the entire University campus. Buses numbers 2 and 12 stop close to the building where Daisy is houses. Bus schedules can be found [here] .